Entrants understand and acknowledge that their respective entry(ies) Photo(s) may receive exposure on the Internet and may be subjected to comments from the public at large. Sponsor is not responsible for any remarks, including any critical or derogatory remarks, posted by the public pertaining to an entrant or an entrant's entry Photo. Warranties and Representations. By submitting an entry, including the Photo submitted with it, each entrant warrants and represents to Sponsor that (a) the information contained in the entry is true and correct in all material respects and that Sponsor may rely on such information in its efforts to comply with applicable laws and regulations; (b) entrant is the custodial parent or legal guardian of the child(ren) appearing in the Photo submitted as part of the entry ("Entrant's Child(ren)"); (c) any third party appearing on the Photo (other than Entrant's Child(ren)) have given entrant appropriate consent to submit the Photo for entry in the Sweepstakes in compliance with these Official Rules; (d) entrant has all of the rights and authority necessary to submit the Photo for entry in the Sweepstakes in compliance with these Official Rules, including the right to contract in his/her own name and for the child(ren) appearing on the Photo, the right to publish the Photo, and the right to grant the rights granted hereunder; (e) that the Photo and the above-mentioned rights are in all respect free and clear of any claims or rights of third parties; (f) that the Photo is an original work and has not been published; (g) that at the time of submitting the entry or any time thereafter, the entry does not contravene any contractual, legal or other obligation; (h) that at the time of submitting the entry or any time thereafter, the entry does not infringe the intellectual property rights of any third party; (i) that the Photo contains no matter contrary to law; (j) that entrant has not made any commitment for the use or publication of the Photo; (k) that the Photo and its publication do not and will not violate any privacy, publicity or other intellectual property, personal or proprietary rights of any person or entity; and (l) that the Photo does not incorporate/display or refer to third party trademarks, company names, products or logos except for Sponsor's and/or its brands. Navigate to the Sweepstakes entry page, complete the entry form, including your full name, e-mail address, zip code, and the minor child(ren)'s first name and birth month and year who appear in your original photo, confirm that you are 18 years of age or older, and upload an original photo that shows dad, grandfather, uncle or other father figure with their child.The photo must include a child or children between the ages of six (6) and twenty-four (24) months and of whom you are either the custodial parent or legal guardian. The child must be appropriately clothed and must, at the least, be wearing a diaper. Other requirements apply. See Official Rules. When & where do I enter? 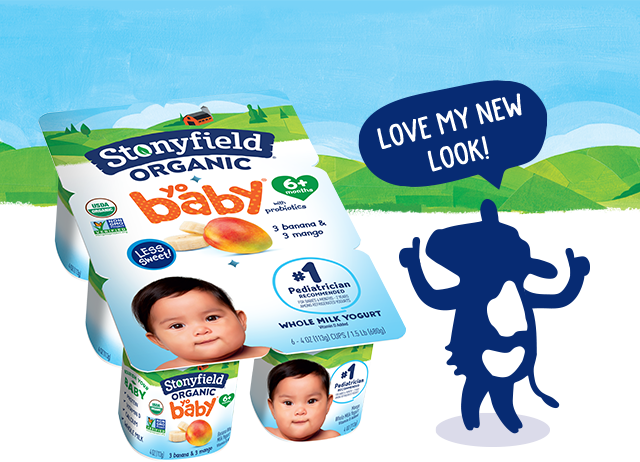 You can enter between 5/21/18 at 12:00 a.m. (EST) to 6/17/18 at 11:59 p.m. (EST) ("Sweepstakes Period") on the Sweepstakes website, www.thanksdad.stonyfield.com, up to one time per week. The winner will be selected at random by Stonyfield within two business days after the Sweepstakes Period ends. One winner will receive: $10,000, in the form of a check made out to the winner, which can be used toward the college education of the child(ren) appearing on the photo submitted with the winning entry.